The secret is to dice them while the skin is still intact. First, you need a ripe mango. (Duh.) 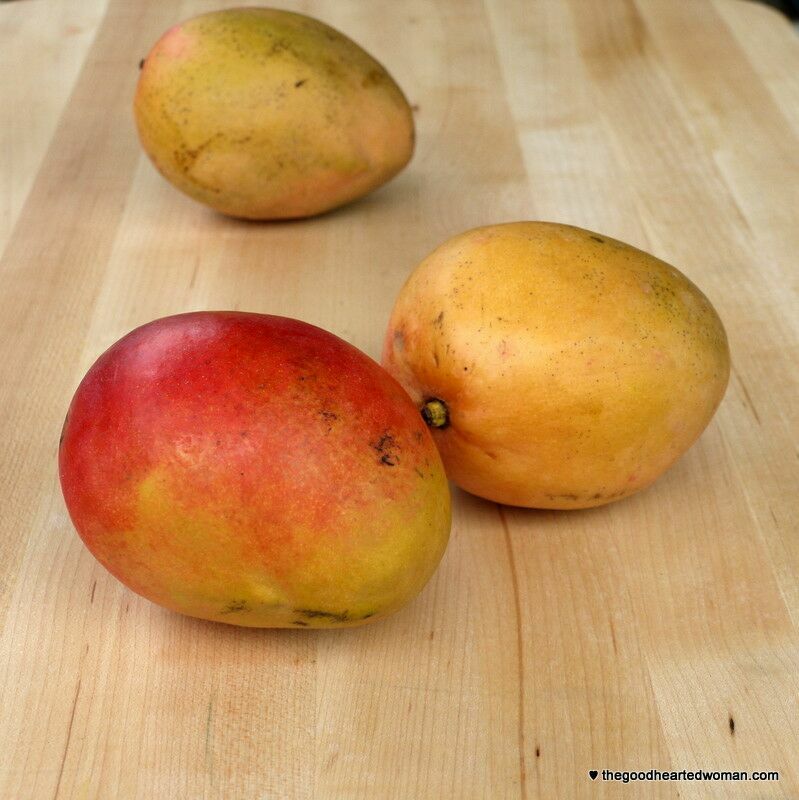 Ripe mangoes smell sweet and give just a little when you press them with your thumb. Aim for a “semi-firm, ripe peach” feel. Like peaches, overly ripe mangoes are difficult to dice and taste “mushy.” No one wants that. 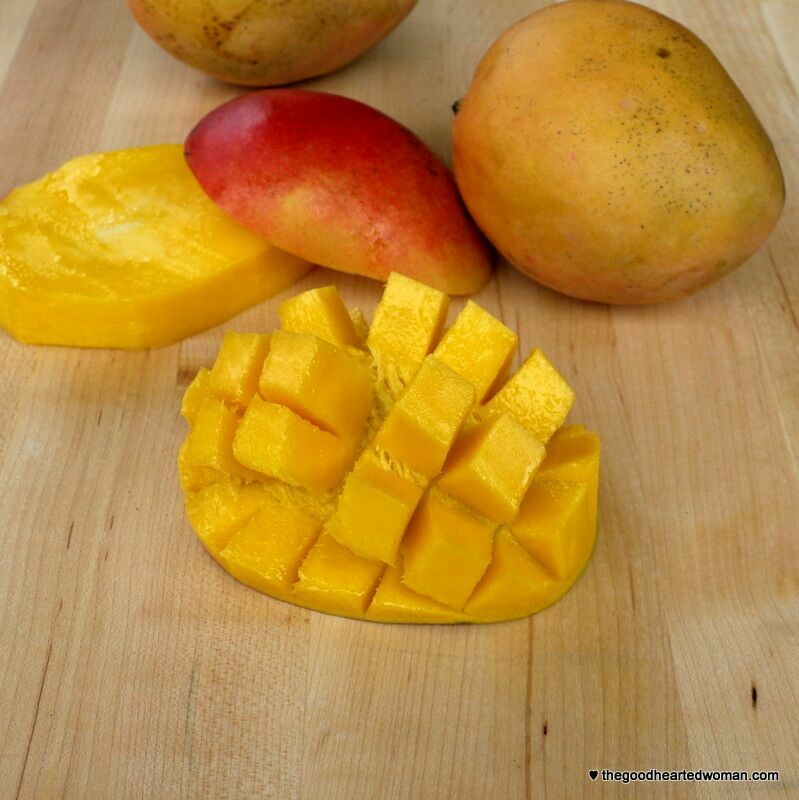 Once you have your mango, dicing it as easy as 1-2-3! One: Mangos have a large, flat seed that runs down the center of the fruit. The flesh is firmly attached to it, and it must be cut away, so the first thing you need to do is identify where the seed is. The easiest way to do this is set the mango on the counter. It will naturally settle on it’s side. The seed inside will be parallel to the counter. 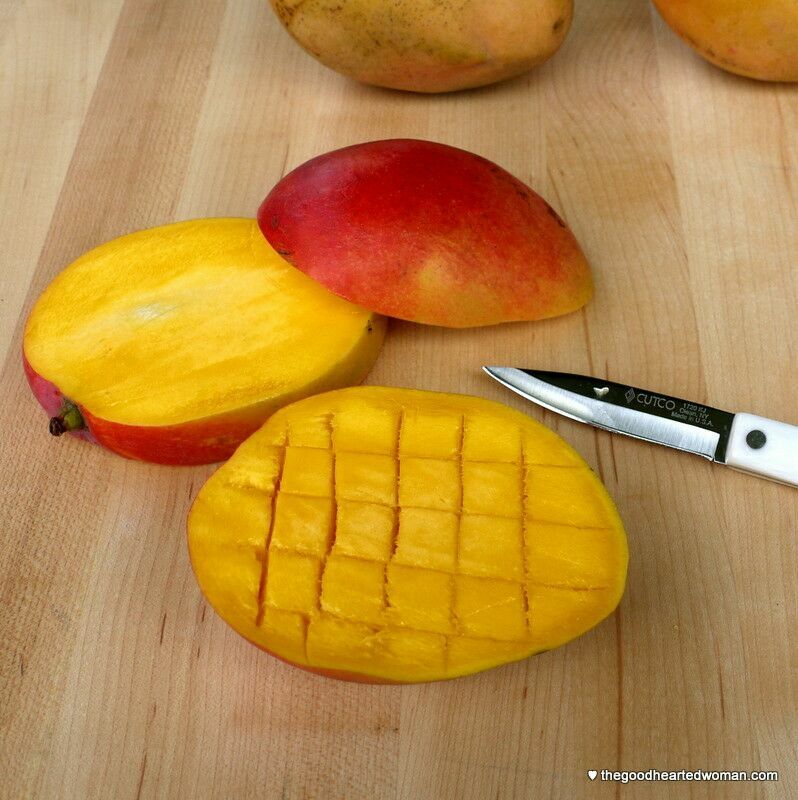 To cut the flesh away from the seed, balance the mango on one of the thin sides and cut away the fruit from both sides of the seed. Try to get as close to the seed as possible – you will know you are there when your knife meets with resistance. Two: Carefully score the mango with a paring knife. 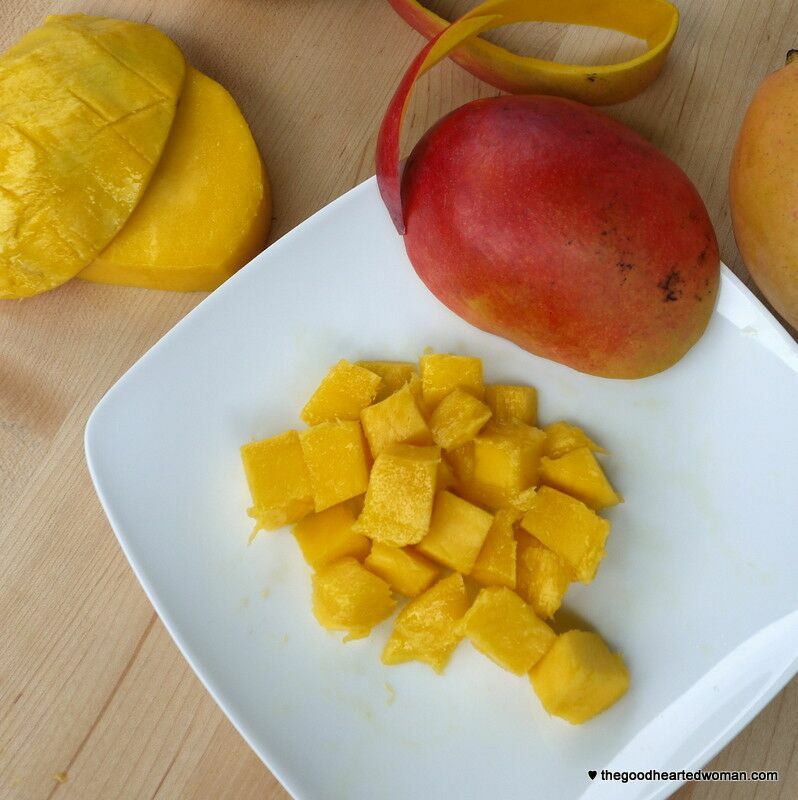 You determine the size of your finished diced mango by how close you make the scoring lines. If you do this in your palm, consider putting something between yourself and the mango to prevent injuries. Personally, I score mangoes on the counter – no worries there. Three: Here’s the Magic! Place your thumbs gently on the face of the scored mango and your fingers underneath. Apply a little counter-pressure and Ta-DA! It pops inside out like magic! Cool, huh? Eat it now: Just eat the little dices right off the skin. Easy-peasy. No muss, no fuss. 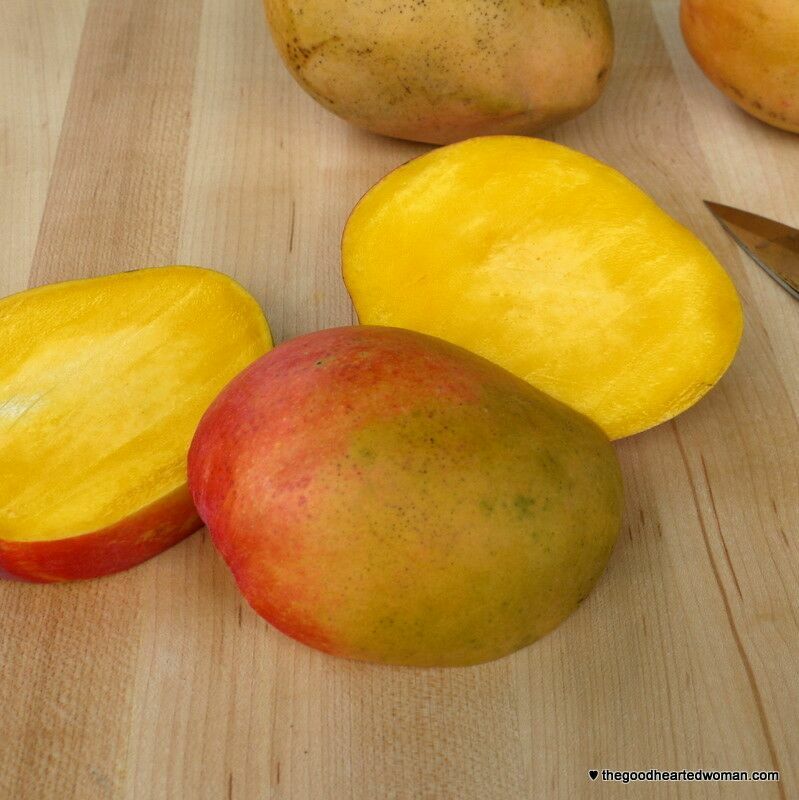 Use it in a recipe or serve it in polite company: Hold the mango over a bowl or plate and, using a sharp paring knife, cut the mango away from the skin. Eat it later: Wait until your are ready to eat it before you pop it inside-out. I usually skin the flesh around the seed and then sandwich everything back together like this ↓ so I can pack it in my lunch. If you do this, be sure to pack an extra napkin for cleaning up after! Now that you know how to dice a mango the easy way, why not try out your new skills by making the delicious Caribbean Mango Salad? 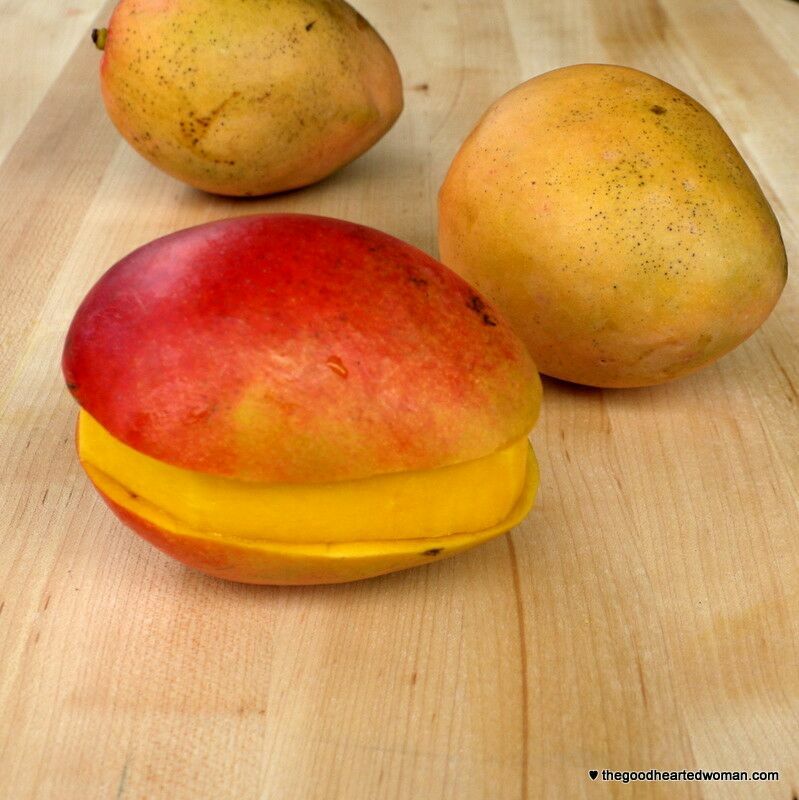 What is your favorite way to enjoy a mango? Hey! I needed to know how to do this right. Mine always ended up mushy from my poor handling and trying to pull them apart after one cut. And yes, hedgehog! This is my technique too! Though you forgot one piece of instruction: Stand over the sink when you eat the chunks directly from the skin. You’ll drip juice everywhere but when you stand at the sink it’s easy cleanup! Great technique!! I’ve definitely made a huge mess cutting up mangoes before. Always want to save all of the good stuff from the pit and skin! I used to eat them a ton but haven’t had one in ages since I cut out sugar. They are an awesome treat though! How timely, as I am planning on making mangos with sweet coconut sticky rice this weekend! I am making that for my girls next week! They love it, and I decided it is high time I learn to make it myself! I love the hedgehog! 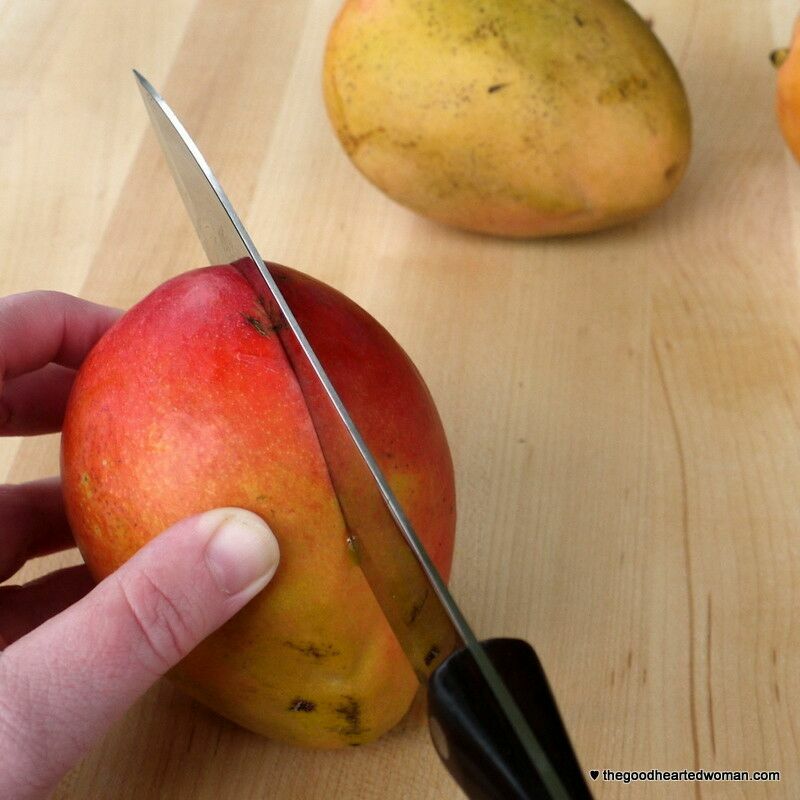 This how I used to cut mangoes, before I became allergic. 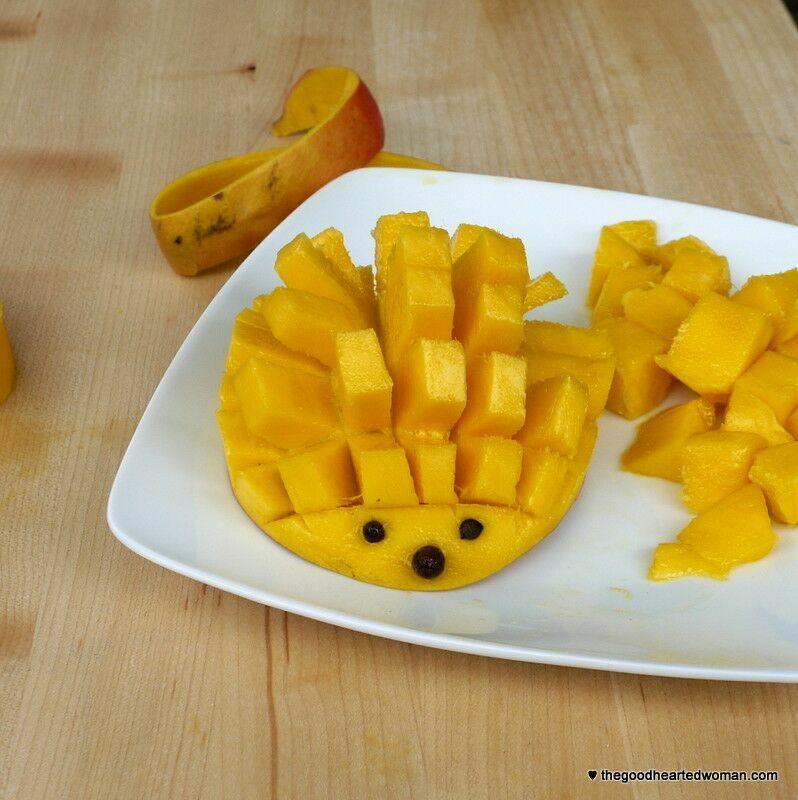 Mango Hedgehog! I love him/her! So adorable, Renee. I grew up eating mangoes and remember the first time my mom taught me how to properly cut mangoes when I was a kid. YUM. I need to go check out your mango salad recipe!